You will often hear the phrase “Responsive Web Design” and you might wonder exactly what it means. A Responsive Web Design is a website layout that is specifically designed to re-arrange the page elements (including re-sizing pictures) to fit with the screen size that the site is being viewed on. It might seem like an odd concept, but it’s important to remember that when people first started building websites, smart-phones and tablets never existed and so it was never important to think about how it might look if viewed on a screen just 3 inches square! What happened in the past is that the entire website would just shrink-down to fit the smaller screen, making the words so small as to be un-readable. Once website designers realised that mobile devices were going to become the norm for browsing websites, they had to quickly devise a way of coping. In the early days we would build a website with three sets of identical pages suitable for a desktop, a tablet and a phone, and then would add a code into the site that would detect the type of device being used to view the site, and then trigger the server to send those specially sized pages to that device. This worked quite well until the sheer number of tablets and phones with different sized screens became too large to handle and at this point responsive web design was born. A responsive web design page still detects the size of the device being used to view the website, but resizes and re-arranges the page elements to fit onto the page more effectively whilst keeping the page wording at a suitable size for easy reading. 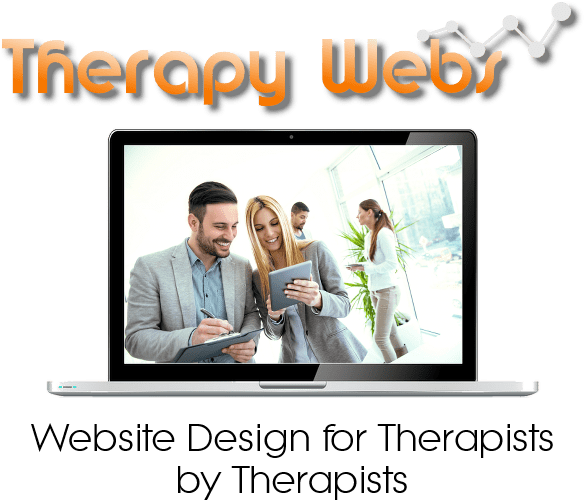 All of the websites we build at Therapy Webs utilise Responsive Web Design architecture in their structure so you can be assured that your clients will be able to interact with your website and not simply “skip-off” to the next site they can find that is responsive. Are There Disadvantages with Responsive Web Designs? However, most people will agree that mobile users now account for an ever growing percentage of potential clients viewing your website, so whether you decide to opt for a Responsive website design, or have a Mobile Website Design, it makes a lot of sense to do something sooner rather than later.